First published February 20, 2015 , last updated April 8, 2019 . Reading time: 5 minutes. It doesn’t matter whether you’re styling your hair at home or you’re thinking of becoming a salon professional; buying the best hair trimmer for men is highly important. There are plenty of hair trimmer products currently on the market, so buying the best one can be a daunting task. They differ in attachment options, speed, cordless vs. corded, pro vs. home use, and so on. 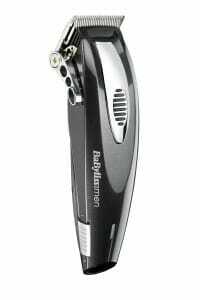 We’ve reviewed the best quality, best value, most affordable and most popular hair trimmers, so it’s up to you to choose which one you think is best hair trimmer for men. The Philips Norelco QC5580/40 is a battery powered hair clipper that makes cutting very easy since the battery needs less than an hour to charge and the razor doesn’t need oiling. 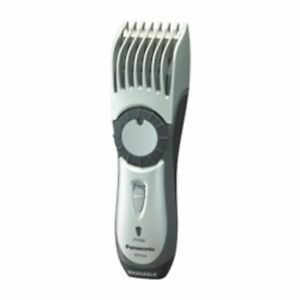 It’s ideal type of hair trimmer for different types of grooming as it contains both a balding razor and an adjustable hair razor. Moreover, it has a swiveling head, so cutting around the ears has never been easier. There is one issue with this trimmer as pointed out in the reviews. Click here to read them! Precision comb perfect for a short buzz style. Weakness: trimming guards are a bit thin. With this Panasonic trimmer you’re getting a ton of quality, value and versatility. The quality stainless steel blades cut your hair cleanly and smoothly, giving you a haircut with the right length. Click here to check if you can get free shipping with Panasonic ER224S. It’s cordless – movement flexibility. Weakness: the cutting head isn’t at the frontmost position. Oster has been in the hair trimmer business for almost a century, so we can’t talk about the best hair trimmer for men without mentioning this company. We present you Oster Fast Feed, quiet professional trimmer with a powerful pivot motor which is twice as powerful as a magnetic motor trimmer. You can read more than a thousand reviews on Amazon where the rating is 4.4 out of 5 stars. Ergonomic design for easy cutting. BTW: We’ve reviewed two other (and better quality) Oster products: Oster Model 10 and Oster 76. 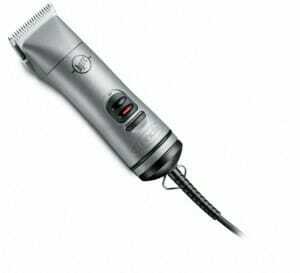 This professional grade hair trimmer gives ultra smooth and powerful cutting for a high quality finish. It has Japanese steel blades with a unique sharp cutting angle for effortless and smooth cutting. The lithium-ion technology gives sustained power performance at low charge levels. 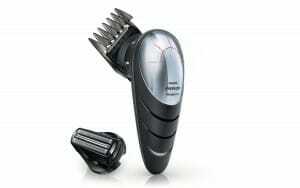 Click here to read the reviews from people who use this trimmer for men. Right and left ear taper comb guides. Every list of best hair trimmers for men includes a Wahl product. 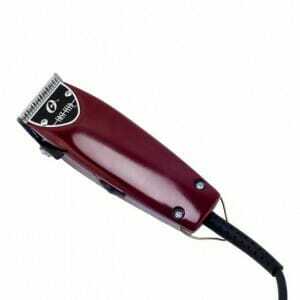 Wahl is a company that makes top notch trimmers and clippers for home use at a reasonable price. What we have here is Wahl 79300-400, a haircutting kit designed for cutting hair and trimming up beard and mustache. More than 5,000 customers reviewed this product on Amazon where the rating is 4.5 out of 5 stars. This trimmer has lots of useful features for an affordable price. Click here to check what this price is right now on Amazon. Perfect for head and body grooming. The kit includes rechargeable clipper, CeramicEdge blade, clipper oil, 7 black plastic attachment combs, charging base, and storage case. Weakness: the guards are a little on the sharp side. NOTE: We’ve reviewed a couple of Andis’ trimmers, namely: Andis T-Outliner, Andis FadeMaster, and there’s a review of Andis Bgrc. 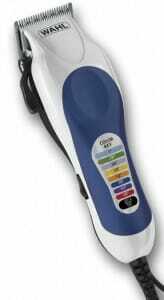 We understand that a hair trimmer is a personal product that you don’t want to accept a poor performance from. So that’s why we brought you the best hair trimmers for men and let you decide which one you think is best for you. Check out also about how to sharpen these trimmers’ blades and what do the clipper sizes even mean.